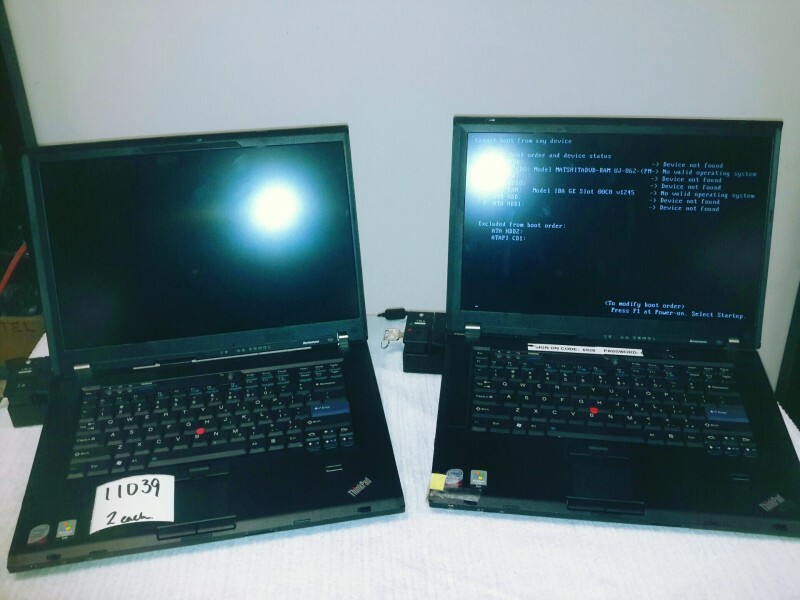 Description: Lenovo T61 laptops - 2 each. Docking stations - 2 each. Laptops have no hard drives or operating systems. Laptops have no power cords or bags. May or may not have Supervisor BIOS password. OS will still install and be operational with the addition of hard drive and installation software. 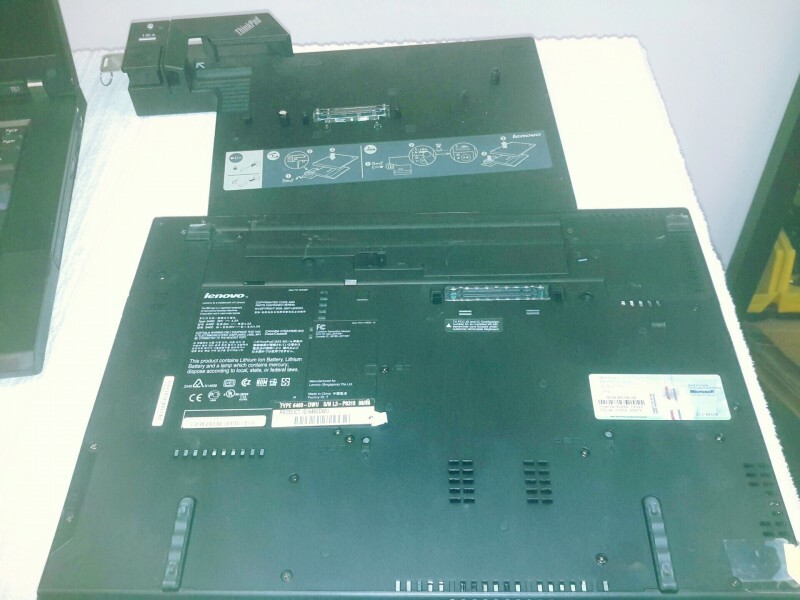 One laptop is missing a battery.